PLATINUM GCH WyHaven's How D'Ya Like Me Now - "Toby"
Toby is now the #2 Platinum GCH in lifetime GCH points. One of only 4 Platinum level GCH Havanese. One of Toby's Group 1 wins. 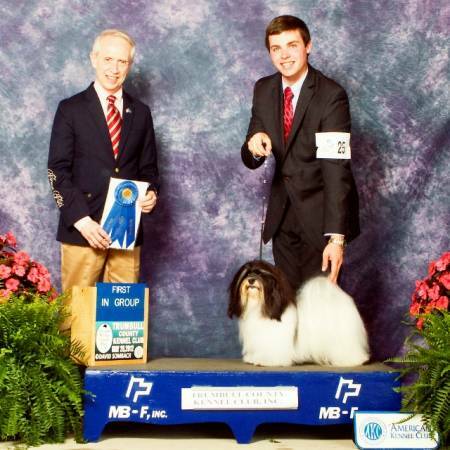 Toby had back to back Group 1's at the Clermont County Kennel Club show Sep. 10 - 11, 2011.